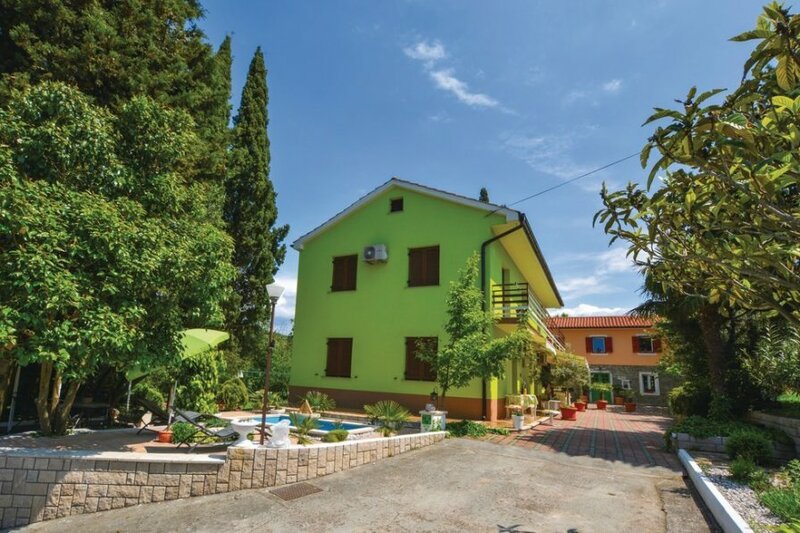 These two interesting apartments, SCR188 and SCR283, are located at the ground floor of an family house near Portorož, surrounded by a beautiful, well – kept garden. These two interesting holiday apartments, SCR188 and SCR283, are located on the ground floor of a family house near Portorož, surrounded by a beautiful, well-tended garden where you can fully enjoy your holiday. At your disposal is an authentic Istrian cellar, ideal for social gatherings on evenings in good company. Near the apartment you will find many hiking and biking trails, where you can explore the surroundings. For nature lovers we recommend to visit the Sečovlje salt pans and the nature park nearby. This apartment is made from brick or stone and was originally built in 1987 and refurbished in 2013. The agent has rated it as a three star property so it is a well-kept apartment, equipped with standard furniture. It is also good value for money. This apartment has view over the landscape and is located in Seča, only 1km from Lucija. It is set in a convenient location, 2.6km away from a sandy beach. There's also a restaurant only 300 metres away.